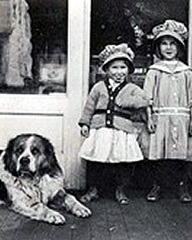 History is often considered to be a collection of dates, old photographs, buildings and events. However, dates and events fade in memory, photographs are lost, and buildings burn down or are torn down. There is another type of history which lives forever. It is the record of the deeds of men. Their dreams, the life they followed, their accomplishments, their families. On the vast ocean of time, history that is made of dates, events, photos, buildings is a ripple on the water but history based on the people whose hearts and blood and spirit of adventure who settled this Alaska is a great tsunami of the sea of years. 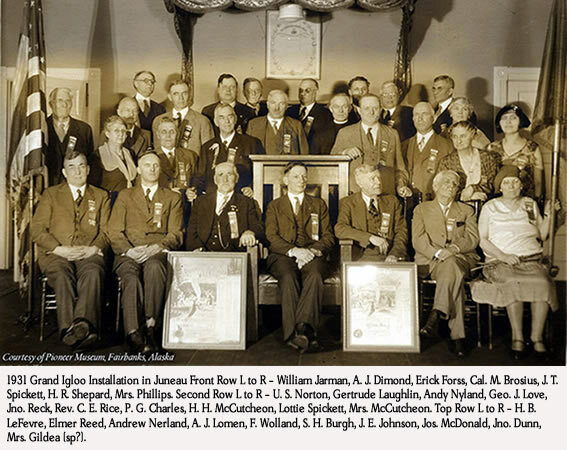 It is to these people that the Pioneers of Alaska Fraternity is dedicated. The organization seeks to preserve the names and memory of those who have gone before and have crossed the great divide and those who are still on the trail and are making a difference in our State. People are the history of our Great Land. the best interest of Alaska. The Pioneers of Alaska was and still is an organization formed from the need of helping each other survive. Helping by providing food, care, medical, legal assistance, recreational opportunities and social interaction was vital for life in this new and sometimes extremely harsh environment. Conditions of life in this rugged frontier made necessary mutual associations. This northern spirit lives and is the base for the Pioneers of Alaska. 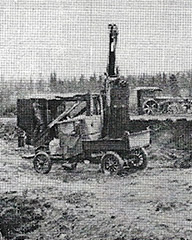 The Pioneers of Alaska was not the first of its kind in the North. Several organizations formed in the early Territorial days to meet the civic and social needs of the growing population. At that time there are a notable lack of government, both Territorial and local and an absence of a viable court system. The affairs of people and their community were handled by themselves, often through miners meetings. These organizations provided physical help--food, shelter, medical, and other assistance, while also promoting civic order--government, courts, and education. Social and moral needs were met by hosting church services and school activities, and providing dances, dinners, holiday celebrations, and gathering places for conversation for those who spent many lonely days and months out in the Alaska bush. Rituals and ceremonies of these fraternal organizations were established and were very entertaining in keeping with the characteristics of life in the country. 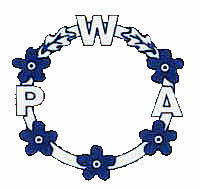 Early organizations included the ‘Sons of the Northwest’, founded in Sitka in 1887; ’Alaska Pioneers’, founded in Kodiak in 1887; ‘87 Pioneers Association’ founded in Juneau in 1887; and ‘Yukon Order of the Pioneers’, established at Forty-Mile on the Yukon River in 1893, who became the largest and most prominent in the area—Lodge No. 1 was at Dawson, Yukon Territory; ‘Arctic Brotherhood’ was established on the Steamboat Seattle bound for the Klondike in 1899—Camp No. 1 was at Skagway—“No boundary line here” was their motto; and ‘Order of the Alaska Moose’─not associated with the Loyal Order of Moose—was established in Valdez in 1899—Tent No. 1 was at Valdez. 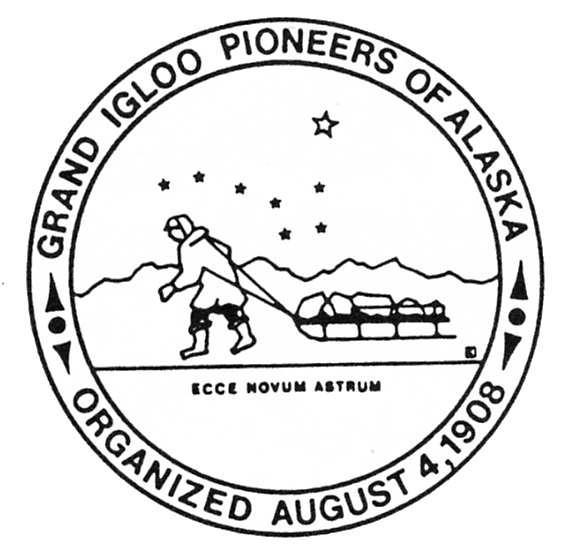 Because of the number of similar orders in Alaska and the Northwest Territory, the Grand Igloo adopted the Latin phrases “Ecce Novum Astrum” for use on its logo. 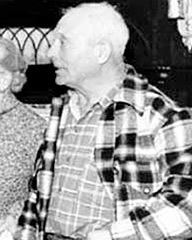 The Pioneers of Alaska began as a similar organization but outlined an idea for a strictly Alaska order to promote not only civic and social interaction but in addition promote ideas that work for the benefit of the territory. Included were promotions for better transportation, statewide education, medical care, court systems, and help for older Alaskan residents. As early as the winter of 1902 and 1903, a group of men in Nome got together and outlined this idea for an Alaskan Order. 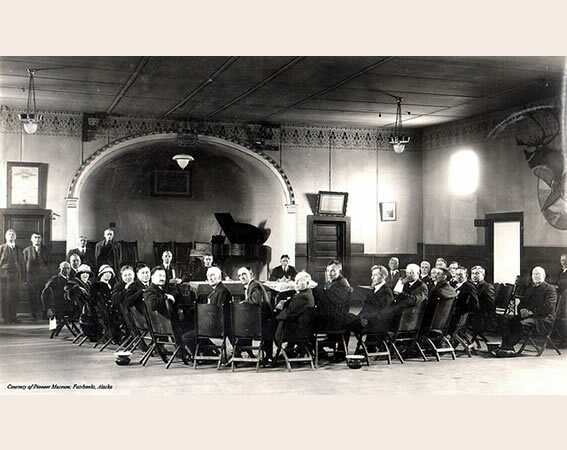 These discussions resulted in a meeting of 28 men on February 7, 1907 in the office of Dr. Will Chase and Dr. Southward in the Nome Bank Building and a temporary organization was formed. A committee was appointed to draft a Constitution and By-Laws and report back to a meeting to be held on February 14, 1907. At that meeting a permanent organization was formed and the name Pioneers of Alaska was adopted and Igloos were given the name for local organizations. Nome became Igloo No. 1. The Constitution and By-Laws were adopted and with a few changes remain today as the Constitution of the Pioneers of Alaska. The first elected officers were J. J. 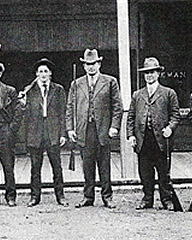 Chambers, President; R. B. Milroy, Vice President; Conrad Seim, Secretary; P. N. Webb, Treasurer; Conrad Seim, Historian; and George Standley, Sergeant-at-Arms. Following this meeting a letter was written to outlying camps. The idea of this Alaska Order became popular and Igloos were formed at Candle in June 1907 and at St. Michaels in October 1907. By the terms laid out in the Constitution, when three Igloos were formed the Organization would establish a Grand Igloo Governing body. 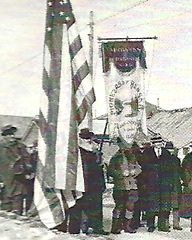 The three Igloos met in convention at Nome on August 4, 1908 and created the ‘GRAND IGLOO PIONEERS OF ALASKA’ to unite the Alaska Pioneers by a permanent organization. This was completed September 4, 1908. W. P. Watt was elected the first Grand President. Subsequently other Igloos were established throughout Alaska numbering 35 at the height. Currently there are 16 Igloos still operating. 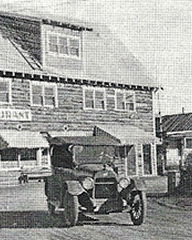 The initial requirement for membership was white men who came to Alaska before January 1, 1900. 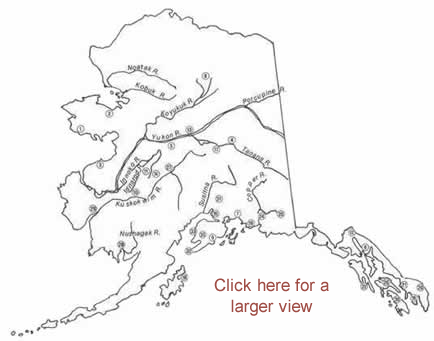 In 1912 the Federal Government granted Territorial status to Alaska. The first Territorial Legislature in that year granted citizenship and suffrage to the women of Alaska. The Grand Igloo extended membership rights to women that same year. The Federal Government did not grant suffrage to the Women of the Nation for another eight years. In the early 1920s (1924 it is thought) the membership requirements for the Women were reduced. No longer did they have to meet the date for entering the Territory as the Men Pioneers did. Wives of Men members were now included for membership as well as daughters who were at least 18 years of age. With these reduced membership requirements the Women’s Igloos were changed to Women’s Auxiliaries and remained with that title until 2004 when once again Igloo status was adopted. There currently remain 16 Igloos in operation. Several times during the more than 100 years that the Pioneers of Alaska has been in existence, the membership requirements have changed. This was done in order to establish a long term organization. Recent arrivals have been accommodated and the race requirement was dropped completely in 1982. Now, any Man or Woman who has been in Alaska for 20 years is eligible for membership. As social change occurred in our country so did this change occur with the Pioneers of Alaska. 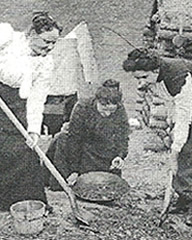 In fact the Pioneers made sweeping social changes before the rest of the country such as equality for women, lobbying the legislature for old-age and handicap pensions, establishing the Pioneers Home, demanding state and federal help for treatment of the mentally ill, and actively supporting economic improvements of all kinds. Throughout the years the Pioneers of Alaska have been a champion of causes for older Alaskans and for many statewide issues. For more than 100 years the Pioneers of Alaska remains an important social and civic part of our State.